I loved Betty Zane Morris. She was my speech professor at Shorter University. I took the regular speech class; I got points off for speaking stilted. My roommate and best friend told me to stop talking like a disc jockey; I was a DJ on a local radio station in high school and college. I learned from Betty Zane how to be natural and engaging in public speaking. 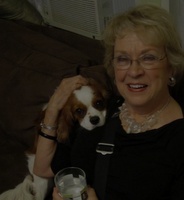 I did so well in speech class, so I decided to take her advanced class – Oral Interpretation. I observed Betty Zane’s Oral Interpretation classes present The Book of Job and knew I could ace it. We had to read something with a dramatic flair – how hard is that? I stood up to read my first piece after hours of practicing and bombed. I can still feel the sweat on my neck and sick feeling in my stomach. It was humiliating – I was so bad I just stopped in the middle of the reading and sat down. I got an “F” for my wimpy performance. I was devastated in front of my favorite professor. That evening, my sorority was holding an event that required our academic adviser to attend. Betty Zane was our adviser (Shorter was a small college). I avoided her all night. Betty Zane caught up with me after the event, and she asked me to walk with her. She put her arm around me as we walked and told me not to give up. Somehow in that warm exchange between professor and student – I found my voice. Her genuine concern gave me the courage to finish that class with a B. In addition to knowing that dramatic interpretation is not the way I best communicate – I discovered a voice, a point of view and a message that was uniquely my own. My voice is often confrontational, but honest. I want to give you something that will change the way you think or live. From my experiences, I would rather punch you with my words than bore you into complacency with platitudes. Authenticity is a priority, but it is excruciatingly difficult to write with that brand of honesty. There is always that inner dialogue second-guessing each phrase. Transparency and emotional nakedness are not easy as pointed out by the authors of The Art of Column Writing. Brennan Manning, in Ragmuffin Gospel writes, “There is a beautiful transparency to honest disciples who never wear a false face and do not pretend to be anything but who they are.” Brennan’s wise writing has guided me through years of pain to find purpose: “In Love’s service, only wounded soldiers can serve.” — Brennan Manning, Abba’s Child: The Cry of the Heart for Intimate Belonging. My open wounds may help another. I want to write with purpose and power and on purpose. The Art of Column Writing, quotes editor L. Kim Tan of the Boston Globe: “Voice is what makes a column good and personal”. The author comments that every writer is concerned with authenticity, but there is no formula for developing your voice. I know my “voice” as a young adult, like Karp is rough and gritty – a product of life. 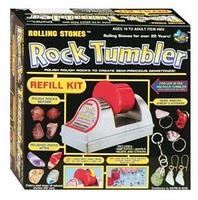 Childhood was tempestuous, unpredictable, and insane – not unlike the rock tumbling kit I got as a kid. I would throw in a driveway rock with sand, grit and water. What seemed like weeks of churning on that noisy contraption an ugly rough rock transformed into a thing of beauty. While not physically homeless like Brianna, my heart was displaced from years of an emotionally battered youth. From that experience, for better or worse, my voice emerged. Suzette Standring best describes reigning in the roughness as a polishing process. She describes your voice as a “rough-cut gem with a potential for brilliant facets.” Polishing, for a writer happens from writing and refining. My childhood, Betty Zane’s Oral Interpretation class, and a thousand other life events have tossed me around with the sand and grit. Every piece I produce, I am pulled out of the rock tumbler and tossed back in for more polishing. There is a hint of hope that one day I will come out of the process a gem of a writer – but I am not there yet. So, I toss myself back in for more polishing. 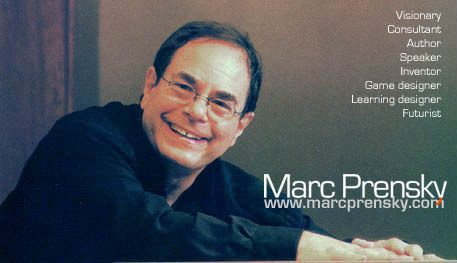 Who is Marc Prensky? Is He a “Native” or an “Immigrant”? Prensky felt Net Gen or the Digital Gen were better named, “Digital Natives.” Prensky says, “Our students today are all “native” of the digital language of computers, speakers video games and the Internet.” He defines the “rest of us” as “Digital Immigrants”. “Those of us who were not born into the digital world but have, at some later point in our lives, become fascinated by and adopted many or most aspects of the new technology.” Prensky says Digital Immigrants learn – “like all immigrants, some better than others – to adapt to their environment.” But, he contents, Digital Immigrants never lose the “accent.” He even suggests they socialize and learn different. The “accent” of the Digital Immigrant is described by Prensky with simplistic illustrations. He says there are “hundred’s of examples of the digital immigrant accent.” He suggests that printing out your email or printing a document to edit instead of editing it on the computer gives away your immigrant status. His examples get more degrading and state that this is not a joke. He says the difference between Digital Immigrant instructors using “outdated language (that of the pre-digital age), ” and the native digital speakers as “the single biggest problem facing education today.” Really – the single biggest problem facing education? I am wondering while reading Prensky’s decade old ideas if I am not reading marketing instead of academic ideas. Is Prensky selling his ideas and merchandising his products? Academics and professional writers used and passed on these labels since 2001, but recently there has been an uprising. Challenges to Marc Prensky’s terms questions the terminology. Prensky describes himself as “an innovator in the areas of education and learning and founder of Games2train, an e-learning company. “The Myth of the “Digital Native”Why Generational Stereotyping Won’t Improve Student Learning Prensky has several master’s degrees from Yale, Middlebury, and the Harvard Business School. 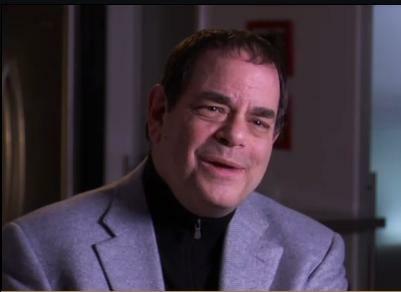 Again from his own website, “Prensky is considered one of the worlds’ leading experts on the connection between games and learning.” Prensky is known for combining education tools with game tech. On the contrary, my experience working with students K-12 is that most have a limited understanding of the Internet’s power and potential and lack the critical and analytic skills to harness it for their own uses. In terms of the Internet, I am the native, present since it was browsed with the original Netscape dragon. So, who is Marc Prensky? As an expert gamer/educator is he an immigrant or a native? Does it matter? You might be a digital native if . . . Not so fast. Labels are great ways to organize. They help us to store messy things in neat packages. Labels are great for files and boxes, but not so great for people. Jeff Foxworthy used our love of labels to build a comedy brand: “You might be a Red-Neck if . . .” Now, my sons might be Red-Necks. They hunt and fish. We have a growing deer head collection instead of fine art in my living room. However, this label of “Redneck” limits the description of these intelligent young men who have a range of skills and abilities. In the same way, labeling them as digital natives because they fit the age range is also too simple. My sons know how to play on the internet and find items to buy. They can post on Facebook and text with amazing dexterity, but they do not know how to search beyond Google or how to create a multimodal presentation beyond Power Point. My concern is that by embracing the ill-defined notion of “digital natives,” those who teach this generation (and subsequent generations) will assume levels of expertise and experience–among all of their students–that simply don’t exist in such an evenly distributed way. As a result, opportunities for teaching critical skills will be lost. Labels used on groups of people are not definitive. Prensky defined digital natives as those born after 1980. The techno-blog, Websimple simplifies the generalization: “Why the 1980 demarcation? Why not 1990? Why not 2004 (the year Facebook launched)? What about all those super-users over the age of 30, or the technophobic twenty-year-olds?” Labels limit – especially if they are misplaced. Digital native may be a 65 year-old professor who knows more about writing in the digital environment than her 18 year-old first year student. The “younger generation” may be more comfortable with technology, but they may also lack digital literacy of someone older. 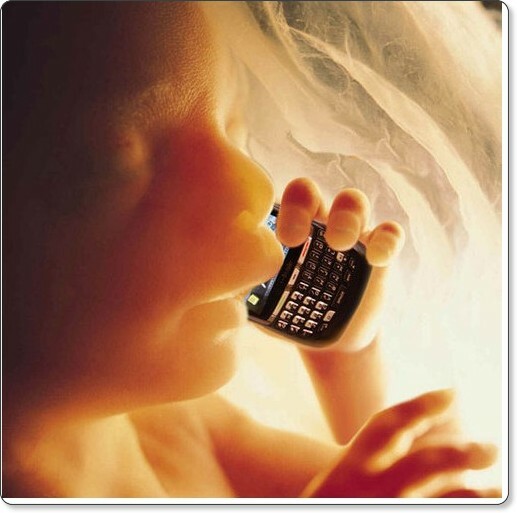 If you have ever texted someone to come to dinner who was in the next room…you might be a digital native. If you think flirting should be done in 140 characters…you might just be a digital native. If you ever have uttered the phrase “I wonder if there’s an app for that?”… you might be a digital native. If you check your phone instead of your wrist for the time…you might be a digital native. If you get more “wall posts” than post cards on your birthday . . .might be a digital native. If you use acronyms like OMG and LOL, even when you are talking to someone…you might be a digital native. If you have ever checked to see if you’re in a relationship by looking at someone’s Facebook status….you might be a digital native. Must Education Change for Digital Natives? Students born roughly between 1980 and 1994 were saddled with the moniker “digital natives” by Marc Prensky. There are other descriptions of this generation as collaborative, optimistic, multitaskers, team-oriented achievers and talented with technology. However, others propose a more “measured and disinterested approach.” In the British Journal of Educational Technology, the authors of “The ‘digital natives’ debate: A critical review of the evidence” question the claims about the digital native designation and the implications for education. Education must fundamentally change to meet the needs of digital natives. Young people of the digital native generation possess sophisticated knowledge of and skills with information technologies. As a result of their upbringing and experiences with technology, digital natives have particular learning preferences or styles that differ from earlier generations of students. In the same way, “digital immigrants” are not all inept as Prensky might suggest. 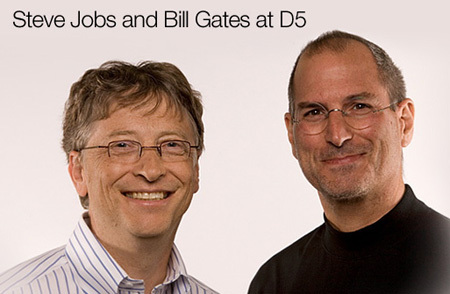 If that were true, how would you explain Steve Jobs and Bill Gates? Honestly, I was offended when my writing hand was slapped for using the terms “digital native” and “digital immigrant” in a graduate discussion post. I felt it was political correctness rising up, once again, demanding re-wording as not to offend. After reviewing the literature and subscribing to Google Scholar Alert for the terms: “digital native” and “digital immigrant” my thoughts have changed on this topic. Instead of being loaded with socially unacceptable terms, saying that someone is a “digital native” or a “digital immigrant” is not really saying much at all. According to Russell Stannard in his podcast challenges these terms used to describe a generation. From Marc Prensky we have his original definition of these terms. I’ve coined the term digital native to refer to today’s students (2001). They are native speakers of technology, fluent in the digital language of computers, video games, and the Internet. 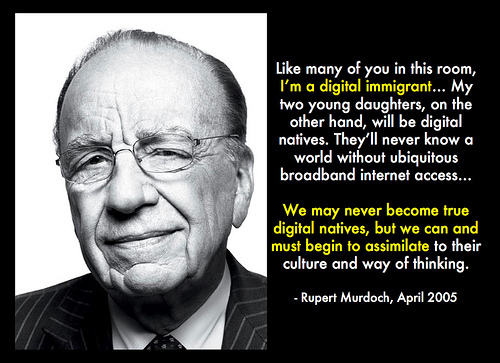 I refer to those of us who were not born into the digital world as digital immigrants. We have adopted many aspects of the technology, but just like those who learn another language later in life. We retain an “accent” because we still have one foot in the past. We will read a manual, for example, to understand a program before we think to let the program teach itself. Our accent from the pre-digital world often makes it difficult for us to effectively communicate with our students. Prensky’s use of “digital native” and “digital immigrant” has been creating an academic debate. Stannard suggests that Prensky is saying very little. Russell Stannard is the winner of the British Council ELTons 2010 and Times Higher ICT award in 2008. He writes, tweets and podcasts about technology in ELT. He writes “Webwatcher” and manages the website: http://www.teachertrainingvideos.com. Stannard says, those who grew up in the digital-age are “happier and less afraid about technology” than those who had to learn it. However, this does not make the “digital native” able to write a blog or post clear web content. In the same way, those who had to learn the technology and were not born into it can write effective web content and learn new tools quickly. I have three sons. All would be considered “digital natives” in this discussion. It is easier to talk to my 22-year old on Google Talk or Facebook chat than catching him on the phone and quicker than waiting for him to check his email. When he asked me how to create a PDF file I was shocked. He was in graduate school, just like me and unable to scan and create a PDF. My youngest son carries his iphone everywhere and seldom picks up my laptop. Instead he texts, chats and “Facebooks” everything. When he was designing a brochure in MS Publisher, he was stumped. He could not design a simple desk-top publication without my assistance. They may not be afraid of technology, but they have much to learn. People my age often apologize for their lack of techno-savvy. However, once they over come the anxiety, they learn quickly and find many tools more effective than the old way of doing things. Russellink – Helping you get your words out.